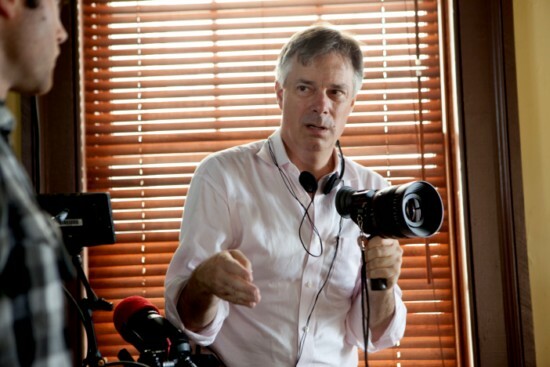 To get up-to-date we have two interviews with Whit Stillman about Damsels in Distress . First, Craig Skinner doing a long two part interview at at Hey U Guys. It’s better and deeper than the average, so worth a read. Skinner: Do you have any solid plans at the moment? 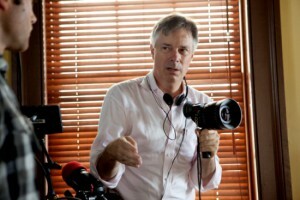 Stillman: In my career, solid is not a good word [laughs]. I do have the intention to make something else, that I’ve been keeping under wraps. In fact one publication I said that to, I think it was a copy editor that changed it to, “he’s next making a project Under Wraps ”. [Laughs] Yet another film he’s not making! Skinner: I read a quote from you recently about a film idea that has really stuck in my head and I’d love to see you make. It was about the idea of a Gold Diggers film. Oh, and Hey U Guys also have a competition to win a Damsels poster signed by the man himself. JR: You anticipated one of my other questions, which was, “Have you ever tried skateboarding?” So the answer is yes. WS: Yeah. I must have been present at the creation. The first months that skateboards were around I had one. JR: Was your family supportive of it? WS: Oh, yeah. But it was a really innocuous thing then. It was after you did your homework you go out… We were living in Georgetown, Washington, then. Behind the townhouse we lived in, there was an alley leading to the garages in the back. And it was at an incline, so I could go from the garages in the back and slide down to the alley in the back and turn down the hill. The sidewalks were brick. So you got a bit of a bump as you went down. WS: No, I don’t think that’s true. JR: You don’t think that’s true. Okay. Please go ahead. WS: I think everything has multiple directions. So actually things are less extreme now than when I was in university. The university was much more extreme when I got there in 1969, when I first got there, than it is now. It was very extreme in September 1969, I can tell you. On college campuses now, there is more ’50s stuff going on than 1969 stuff. And there we go, we’re now bang up to date. For a few hours, at least.